We dive throughout the year, although most trips are organised during the spring and summer months. We have several trips organised for the future, just have a look at this year’s dive plan. After a trip, it is helpful if you write up a trip report that is kept on the CUUEG website. Trip reports are a great way to learn about dive sites for other members – if you’re thinking of visiting a site check to see if there is a report from a previous trip. Trips range from one-day outings to nearby quarries, such as Stoney Cove and Gildenburgh Water, to weekends and weeks away at various places around the British Isles, such as Plymouth, Weymouth and Scotland. The British Isles has some superb diving locations featuring WWI/II shipwrecks, cold-water reefs and fantastic underwater scenery, but of course, warmer waters have their plus points too. There may be one or two trips abroad each year as well. The trips listed here are planned well in advance and advertised (usually) by email, other club trips are organised at more short notice. If the weather looks good for the weekend (or even if it doesn’t) and you fancy a dive, contact other members by email (or at the Pub meet) – you’ll usually find someone else who wants to go. Advertised trips will have an estimated cost, a maximum cost and a deposit. Your place on the trip won’t be guaranteed until you have paid the deposit. If you want to find out more about how the clubs rules for organising trips, take a look at the Trip Planning page. To efficiently organise the expedition, the Expedition Organiser will need certain details from you. Please answer the first set of questions when booking onto or asking about booking onto a trip. Divers throughout the Club are encouraged to get involved in running trips and expeditions. Some of our most successful trips have been planned by newly qualified divers. If you have an idea, or want find out more, contact the Expeditions Officer search through the clubs trip reports or visit some of the useful links on the Trip Planning page. Throughout the year, the Social Secretary organises regular curry nights, cocktail parties and pub crawls, not to mention the CUUEG annual dinner and garden party. We have a set of rules regarding the organisation of trips to try and ensure that they run smoothly and fairly. You can view the complete Expedition Terms and Conditions. 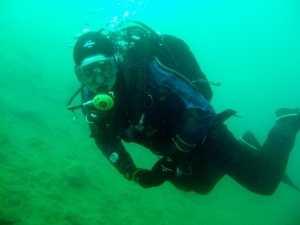 The club has diving equipment for hire to members at very good rates (Equipment pages). Before diving with CUUEG, all members must read our Safe Diving Practices and agree to follow them for everyone’s safety. Also note the Procedures for DSMBs and Advanced Dives.